Find a vacation home to rent in Cologne from our list of vacation rental properties. Campaya has over 21 vacation homes available in Cologne, which give you the possibility to locate a unique accommodation in Cologne which completes your check-list in search for the perfect self catering vacation apartments in Cologne or vacation villas in Cologne. This neat and quiet holiday home in Feusdorf is situated at the edge of a forest. 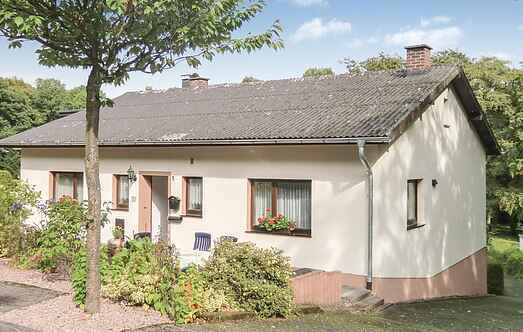 Fuchshofen 5 km from Antweiler: Cosy small apartment house "Gebauer", 2 storeys. In an elevated position on a slope, in the countryside. For shared use: garden, lawn for sunbathing. Patio, barbecue. Spacious and comfortable apartment in the first floor of a beautiful and tranquil family home. In the splendid scenery of the volcanic Eifel, adjacent to the "Eifel National Park", this fantastic apartment is south-facing slope on the edge. This spacious holiday home in Wiesbaum has a quiet courtyard. The entrance leads to the hall, which in turn leads to the adjacent bathroom with a shower. This spacious holiday apartment with good facilities is located in a semi-detached house on a large plot. The owner lives in the other half of the apartment. In the romantic old town of Linz am Rhein, this cozy apartment is on the 1st & 2nd floor of the apartment building. In the romantic old town of Linz am Rhein, this cozy apartment is on the ground floor of the apartment building. This three-storey holiday apartment is part of an independent house. It has a large lounge with access to a beautiful terrace and a fully enclosed garden at the back.